Hope Ranch is Santa Barbara’s unique residential community and is one of the most beautiful hidden residential enclaves on the Santa Barbara coast. Incorporated in 1924 Hope Ranch is known for its palm tree-lined main streets, rolling hills, it’s horse community and riding trails and the privately accessed beach. Hope Ranch offer a variety of homes from Cis where sprawling ranch homes and luxurious estates are nestled on private parcels with varying topography. The 1863 acres of land (with approximately 773 parcels) offers gently rolling knolls that take advantage of the breathtaking views. 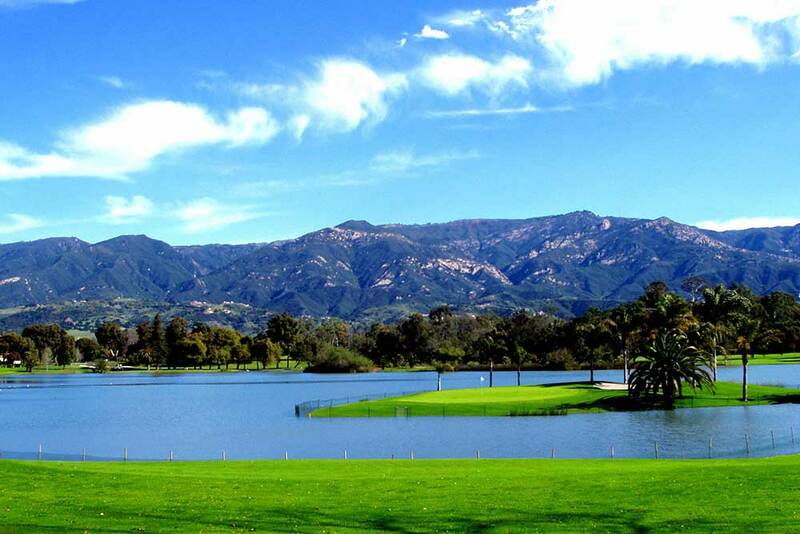 Some sites enjoy the sparkling views of the blue Pacific Ocean, Channels Islands and coastline, while others look out over the majestic Santa Ynez mountain range, Goleta Valley and Santa Barbara. All enjoy the beauty of the stately oak trees that grace the tranquil hills and valleys in the Ranch. The location of the Ranch is unsurpassed. 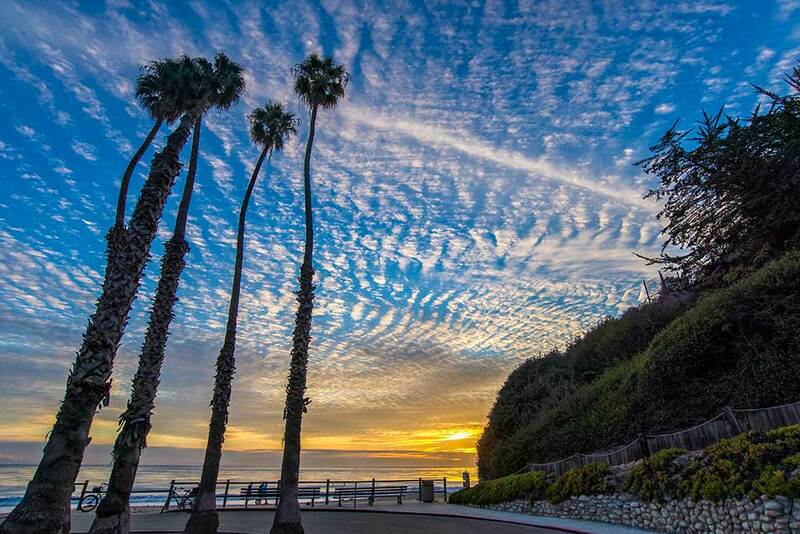 The easy access to the US-101 freeway makes travel a breeze. Downtown Santa Barbara and Goleta are just minutes away, and the Santa Barbara Airport is approximately 10 miles from the Ranch. Shopping, entertainment, fine dining and museums are close by, as well as excellent schools – both public and private. If one is planning on going to Los Angeles, it is just 100 miles away, making a daytrip easy and fun. 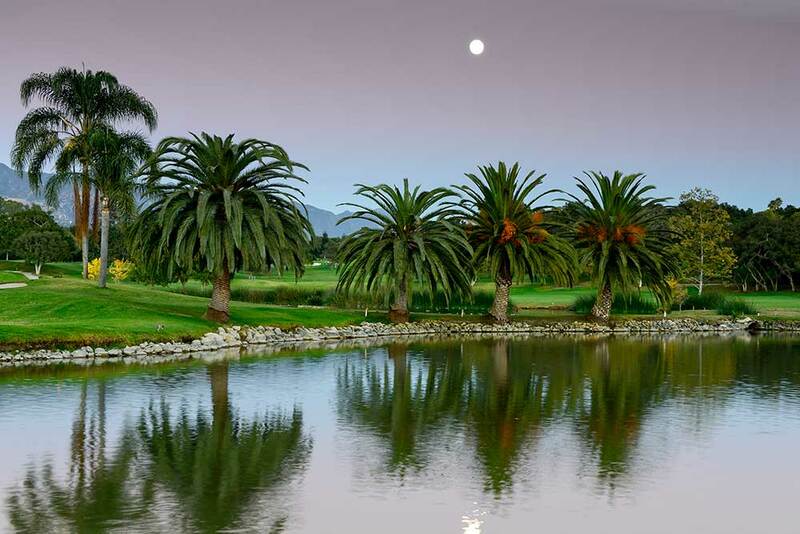 Hope Ranch and Santa Barbara are known world-wide for having a delightful climate year-round. Known as the land of summer, where the sun shines the majority of the time. Hope Ranch is a sought after residential community for those seeking the outdoor, beach or equestrian lifestyle. Hope Ranch Beach, a beach accessible to Hope Ranch residents and their guests, is a little piece of paradise in Hope Ranch. Enter through the secure gates (summer gatekeepers check guests in June through September) and find easy parking for both the beach, picnic areas and playground. A turn-around at the base of the parking lot allows for easy access for dropping off and picking up your surfboards, coolers, beach chairs and beach buddies. A tree-covered trail leads you to the beach from the parking lot. Bathrooms, outdoor showers and storage lockers are located at the beach cabanas at the base of the beach. During summer months lifeguards are employed for everyone’s safety. Gentle waves are perfect for boogie boarding, surfing and kayaking. 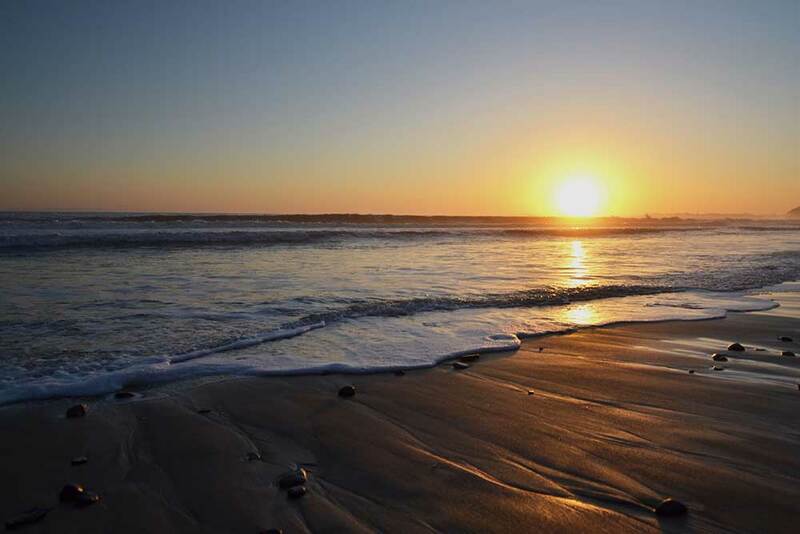 Sunset strolls down the beach are a treat for one and all. Walking toward Santa Barbara and Hendry’s Beach you will find wonderful tide pools and ocean treasures. 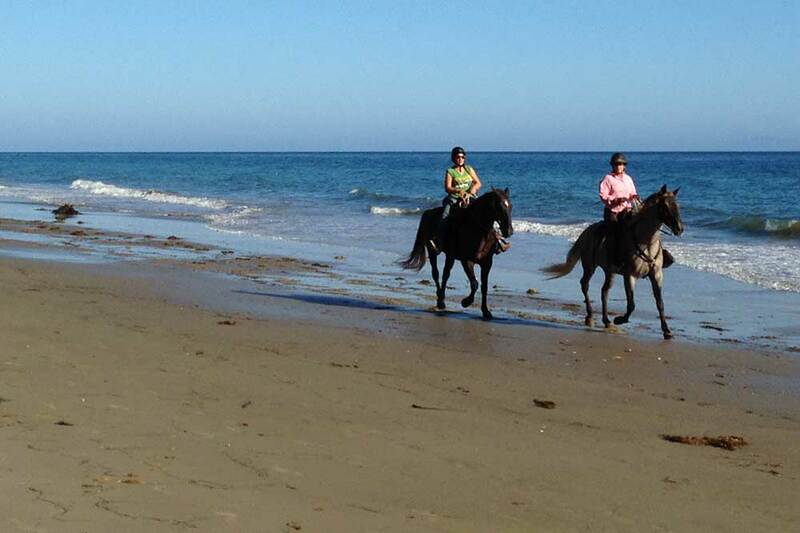 This beach is truly a great asset to Hope Ranch residents. The first written mention of the Hope Ranch area in history dates back to 1769. Captain Gaspar de Portola kept a diary in which he documented marching across the mesa with 65 leather jacketed soldiers at Arroyo Burro where he was greeted by friendly Indians from the Cieneguitas tribe. Evidence of Indian life in the Hope Ranch area dates back six to ten thousand years. The first private owner of land that would become known as Hope Ranch was Lt. Narcisco Fabregat of the Santa Barbara Presidio who was called to Santa Barbara to fight the notorious pirate, Bouchard. Fabregat received the land in a grant from Governor, Manuel Micheltorena on May 16, 1843. In 1861, Thomas Hope (after whom the Ranch was ultimately named) bought the property for a sum of $8,000. Hope was an Irishman who immigrated to the United States when he was 16 and began working in the cattle and sheep industry. He turned this into a prosperous business and settled in Santa Barbara after spotting the ideal location for his flock of sheep that had grown to 5,000 strong. The need for wool to make uniforms for the soldiers fighting in the Civil War created a lucrative market for his operation. After Thomas Hope died in January, 1876, the Southern Pacific Railroad purchased the land for $250,000. Originally there was speculation that the new owner planned to build a large tourist hotel comparable to the Hotel de Coronado del Monte. However, by 1900 the plans had changed and it was announced that a number of villas would be built instead and the company intended to market the area as the “playground of the world”. Implementation of this plan never materialized and it wasn’t until Harold Chase purchased the land in 1923 that any significant development actually took place. Mr. Chase proceeded with the installation of roads, utilities and bridle trails and laid the groundwork for the creation of a residential community. He then began the process of selling lots in the Ranch to people who wished to make this their home. Hope Ranch is now a community of 773 lots encompassing 1,863 acres. 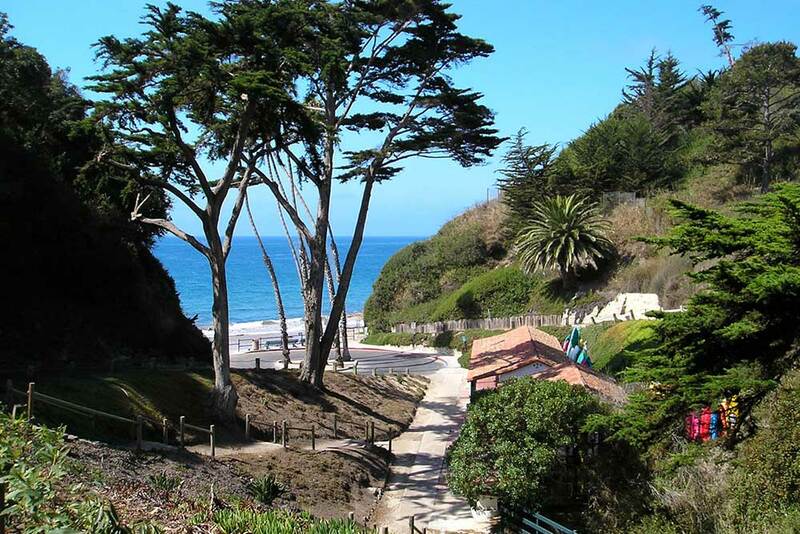 It is situated in the southeastern portion of Santa Barbara County between Highway 101 and the ocean. It consists of a broad flat mesa and low rolling knolls broken by a magnificent valley and covered with splendid live oaks. The scenery from the home sites on the knolls is indescribably beautiful; landward, the purple mountains of the Santa Ynez range – the green foothills and rich valley crowned in the distance by the famous old Santa Barbara mission; seaward, the Santa Barbara channel, the Channel Islands and the broad Pacific greet the eye. Hope Ranch and Santa Barbara are known the world over as possessing the most even and delightful climate to be found anywhere. Here in this land of perpetual summer, where the sun shines brightly 250 days out of the year, – where the nights are cool and pleasant – where the surroundings are picturesque and pleasing – is an ideal place for all-the-year-round homes has been provided for this community. Hope Ranch is divided into acreage plots of varying size. The lots are irregular in shape and laid out with particular regard to the character of the land, its scenic outlook and the home site possibilities contained therein. As a result of this care, each of these locations has a charming individuality. In order to conserve the beauty of this property and insure a desirable neighborhood, suitable building restrictions have been imposed. While not excessive, these are the guarantee that such buildings will best promote the interests of the community as a whole. Governed by a homeowners association since the early 1920s, the development of the property has benefited from the oversight of an organization established to assure a unique quality of life. 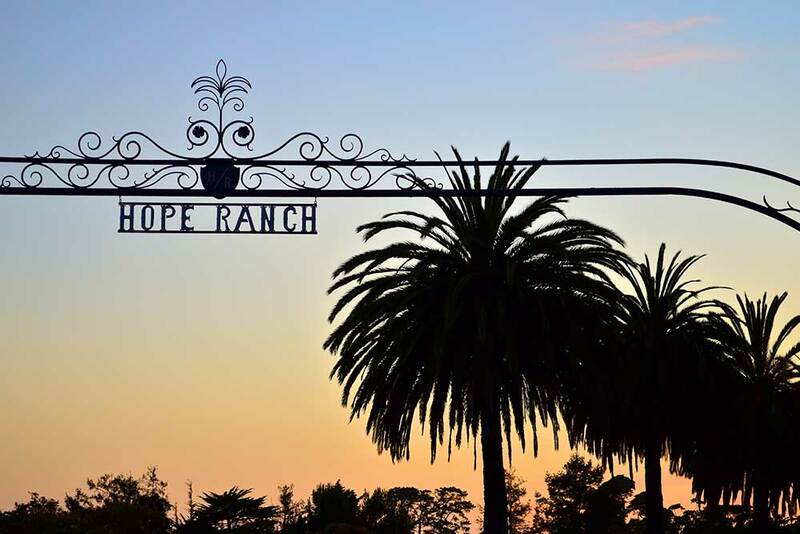 Those who have had the good fortune to live in Hope Ranch will tell you that it is a place like no other.